2008 Foal, 16.3hh. 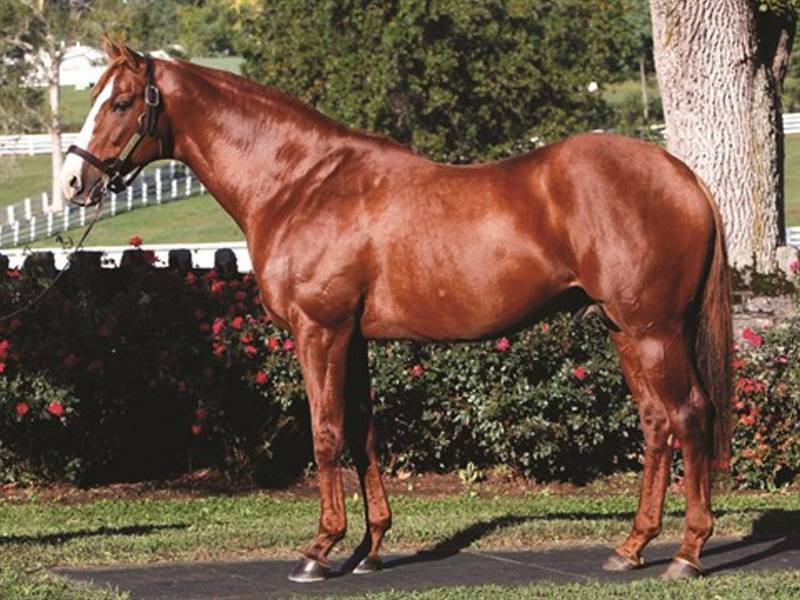 Failed to reach his reserve at $275,000 as a yearling. Trained in the US by Dale Romans. Ran twice as a juvenile for one success in a 7f Maiden race. Ran 10 times as a 3yo for 2 wins and 4 places. Successful in a minor 9f event and the 9f Grade 1 Preakness Stakes. Also placed 2nd in four Grade 1s between 8f to 9f. At 4yo ran 8 times for 3 wins and 2 places. The successes including two Grade 1 races over 8f and 9f. Retired to the Darby Dan Farm Stud in Kentucky at a fee of $20,000 and still there in 2015 at the same level. 68 Yearlings sold in 2015 for an Average of $65,819 and a Median at $35,500. First Season Sire in 2016.